FIFA 13 was confirmed for release on Wii U yesterday, and after a brief run out at EA's Summer Showcase here are the first screenshots. They show off several of the new functions, such as lifting the GamePad to take direct control of set pieces, on the fly stat checking and those all-important touch screen management options. Remember: it's meant to be so easy to use that 'casual' ol' dad can play too, apparently. You can put that to the test on Wii U launch day. You'll find plenty of media in the album below. 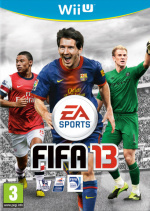 Has EA got you onside for the Wii U version of FIFA 13 yet? Guildford, UK. – August 2, 2012 – Electronic Arts Inc. today announced that EA SPORTS™ is developing its two most popular sports videogames—FIFA 13 and Madden NFL 13— for Nintendo Wii U™. Featuring award-winning gameplay, HD graphics and new ways to play, FIFA 13 and Madden NFL 13 promise to be incredibly innovative football games on the Wii U, and they will be in stores around the world when the new console launches. 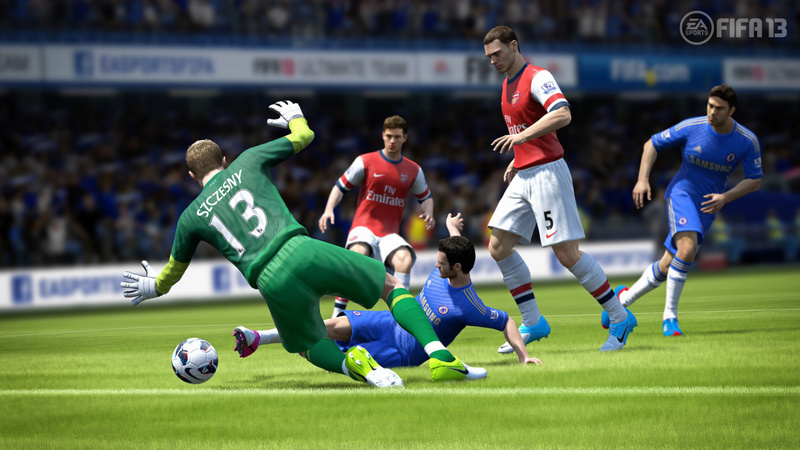 In development at EA Canada, FIFA 13 features three new ways to play that bring players of all abilities together. Families can play together in Co-op Mode, where one player manages and up to four others play. Team Management Control features interactive radar to send players on supporting runs, attacking or defensive, and touch screen control to change tactics, formations or subs on the fly. Experience the thrill of managing your favorite football club in Manage Match, directing players from the sidelines and even giving half-time talks. View a statistical analysis of the match and any player at any time, enabling you to make informed decisions. Plus, connect and interact with friends like no other FIFA title. See your friends online and invite them to play, or message them in real time using touch screen typing. FIFA 13 features innovations utilizing the Wii U GamePad™ that immerse players in the action on the pitch. Gamers can lift and look through the GamePad touch screen to aim the ball on set pieces and penalty kicks, then put the perfect curve on a shot and let it fly. Shake the GamePad to activate Touch Screen Shooting, removing the element of ‘hit and hope’, and allowing for pinpoint accuracy. Madden NFL 13 on the Wii U delivers the most authentic NFL experience ever on a Nintendo platform, including core gameplay new to the franchise this year, beautiful HD graphics, the newest depth and career modes, and all-new touchscreen features exclusive to the Wii U. With the all-new Connected Careers mode, you can build your own legacy as a player or a coach, or relive the glory of an all-time legend. Plus, the new CBS commentary team of Jim Nantz and Phil Simms make every game feel like an authentic NFL broadcast, as they call the action from the 3D booth. Get immersed into every game with features exclusive to the Wii U, including streamlined playcalling, pre-snap adjustments and personnel management - all directly from the innovative Wii U Gamepad touchscreen. Madden NFL 13 on the Wii U brings next generation innovation, gameplay, and graphics straight to your living room like never before. Madden NFL 13 will be available on Nintendo Wii U in North America only. Fifa looked RUBBISH on the wii and i think that 09 was better than 10 or 11 or 12. they had bad graphics, there was no money and the only good addition was in 11 and that was street mode. I've never been a fan of soccer games, but this looks really nice, seeing the perspective of the soccer player in the gamepad is great. Read a preview of this in ONM where it showed how the touch screen is to be used. Very interesting indeed. Never been a fan of football, but this looks quite interesting. If it ever gets cheap or on sale when the Wii U is out, I may just consider this. Won't get this as I don't like soccer, but it will still be a nice game on the wii u for those who like soccer.